I’m working on a column about the kinds of books I’ve been devouring now that I have a Nexus 7 with Kindle app. 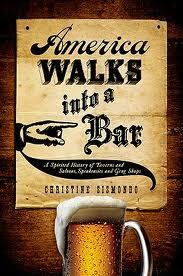 Of course, it focuses on books about beer and bars. A well-written tavern scene just floors me. I’m building a library of books to read that focus on beer and/or bars. Here’s the list so far. If you have any suggestions, please send them to beer.snob@yahoo.com or @BeerSnobCT!